Be respectful. No politics, religion, racial, sexual, or argumentative comments. No spam, self-promoting, swearing or talking about killing animals. Use English if possible so we can all communicate together. Keep it positive and most of all, enjoy the birds! 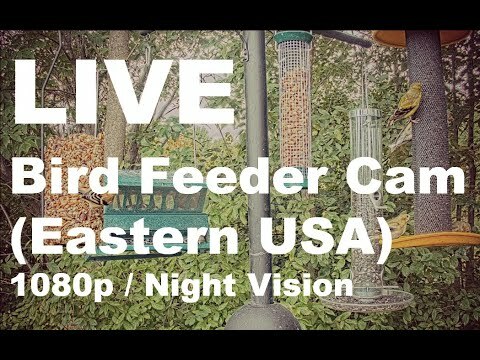 Currently, I have TWO live bird/animal cameras set up in my backyard. One is pointed at my bird feeders; the other is located on the ground UNDERNEATH where many different mammals (skunks, foxes, squirrels) and ground feeding birds appear.